Cryotherapy is a popular medical technique that allows physicians to remove or destroy abnormal cells in a non-invasive manner. The use of an extremely cold liquid or instrument effectively freezes and destroys cells. The procedure is quick, painless, and is usually done in an outpatient setting. Most commonly associated with wart and lesion removal, the procedure is evolving to include treatment of cancerous and non-cancerous tumors, cataracts, and other diseases that require pinpoint precision. One of the gases used in cryotherapy or cryosurgery is Nitrogen. Nitrogen gas is the coldest cryogen gas currently available. Sitting at a temperature of -320°F (-196°C), Nitrogen’s extreme cold helps make the procedures quick and effective. The average freeze time for warts can be as little as just 5 seconds. Nitrogen is used in many applications that range from food packaging to manufacturing but none have the potential to do greater good than its use in cancer treatment. Cryotherapy is well established as a treatment of benign skin lesions and is commonly used by dermatologists to treat warts, actinic keratosis, seborrheic keratosis, and other skin conditions. Now, medical professionals are exploring its use in cancer treatment. According to the National Cancer Institute, cryotherapy and cryosurgery are already being used to treat internal and external tumors. External tumors are treated by applying liquid nitrogen gas directly to the cancerous cell using a cotton swab or a spraying device, much like warts are treated. The ball of cells freezes and scabs over, dissolving over time. Internal tumors are treated using a hollow tube called a cryoprobe. The cryoprobe is placed in direct contact with the tumor to deliver an extremely targeted shot of liquid nitrogen. This limits treatment to the tumor itself and prevents nearby healthy tissues from being damaged. This has obvious advantages over chemotherapy and radiation, which destroy both healthy and infected tissues. As with external treatment, internal treatment freezes the affected cells but instead of falling off or scabbing over, the cells are naturally absorbed and dispelled by the body. Research is currently being done to determine if cryosurgery can be used to treat breast, colon, and kidney cancers either on its own or in conjunction with more traditional cancer treatments. Already, pre-cancerous lesions on the skin and cervix can be treated with liquid nitrogen gas. In most cases, the cancer must be confined to a small area and not spread to other areas of the body. The long-term effects and side effects of cryotherapy as a cancer treatment are still being explored but early studies indicate fewer and less serious side effects than traditional cancer treatment. 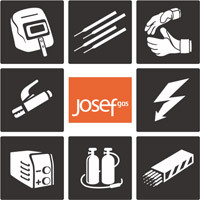 Josef Gas is a trusted supplier of nitrogen gas to healthcare providers. We have established relationships with our suppliers to provide our customers with a very competitive cost. We provide liquid nitrogen gas in cylinders or for on-site storage and can set up a delivery schedule that meets your demand needs. If your medical office needs nitrogen gas for use in cryotherapy or cryosurgery contact us at 416-658-1212 or info@josefgases.com to discuss your nitrogen gas needs in detail.